Paradigmatic new wave pop, still surprisingly unknown and under-rated. This is an outstanding new wave pop single, reminiscent of XTC with a very Bowie-like vocal. 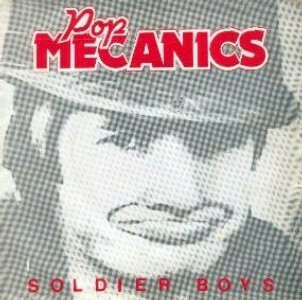 Note the name is Pop Mecanics (no 'h'), not Mechanics. 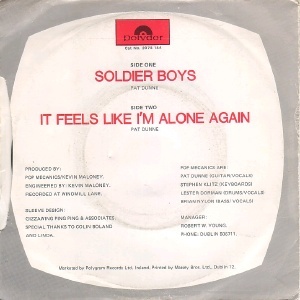 "Soldier Boys" was one of several tracks recorded at Windmill Lane studios with engineer Kevin Maloney. Initial (promo?) 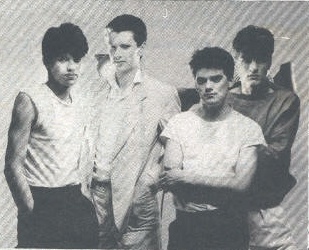 copies included an invite to see the band perform on Saturday 5th June 1982 at the Baggot Inn in Dublin. The probable follow-up single "Drowning" / "Blue Skies" was recorded at the same session but it never came out. 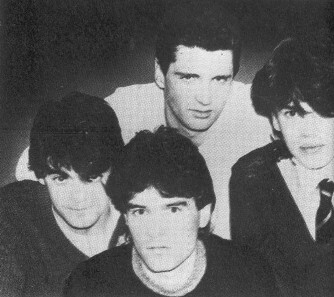 The band appeared twice on Non Stop Pop, the first time for "Soldier Boys" and the second (on 13 October 1982) performing the unreleased second single "Drowning" (see below for youtube link). 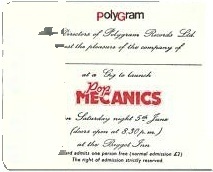 Pop Mecanics opened for Katmandu at the Baggot Inn on Sunday nights over a period of several months in 1982 and became great friends. They opened for Roxy Music on their August 1982 tour of Ireland with dates in Limerick (The Savoy, now sadly demolished) and three nights at the RDS in Dublin. Band leader Pat Dunne was later in the Flash Harry's and The Big Noise. He works as a studio producer in Dublin. Lester Dorman emigrated to the USA in April 1983 and now lives in the San Francisco area. He never joined another band.